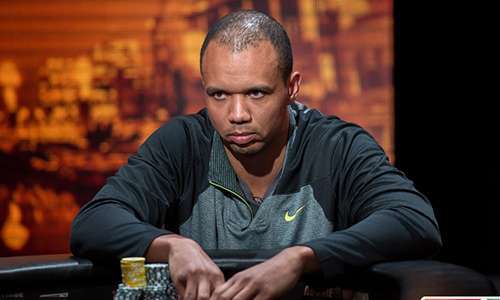 More news from the extended three-way legal battle centered on the “edge sorting” scheme employed by poker pro Phil Ivey and a companion at the Borgata’s high-stakes mini-baccarat tables in 2012, using allegedly defective Gemaco-made cards. In a side story that’s become increasingly contentious in recent months, the Borgata and Gemaco, who made the cards specifically requested by Ivey for use in the games, have each filed for summary claims against each other over the minute printing variances in the cards that allowed Ivey’s sharp-eyed companion, Cheng Yin “Kelly” Sun, to help shift the game’s odds in Ivey’s favor. In the latest developments, courtesy of the most recent filings in the $9.6 million case, Gemaco may have finally focused on the legal Catch-22 that may well prevent the Borgata from winning in this portion of the case. Gemaco was named as a co-defendant in the Borg’s 2014 lawsuit against Ivey and Sun, but on a separate series of claims. The two sides’ basic arguments are clear. The Borgata asserts that had Gemaco not supplied them with imperfectly cut cards — which Gemaco, for its part, asserts were well within industry standards — that Ivey and Sun could not have orchestrated their scheme successfully. And Gemaco claims that the Borgata significantly altered the rules of their own casino game to please the high-rolling Ivey, and in the process allowed for the minute variations in the cards to be exploited in a way that neither Gemaco nor the Borgata intended. In other words, to paraphrase Gemaco’s countering claims, it was the Borg’s own negligence and greed that put them into a $9.6 million hole. Still, there are some areas where the two sides agree to a certain extent. Business dealings between two corporate entities are generally governed in the US by the Uniform Commercial Code [UCC], which includes contractual requirements and the need for deadlines in asserting claims for faulty products. It is clear from the many filings in the case that the Borgata did not initiate its claim that Gemaco supplied a faulty product in a timely manner, according to the terms of the casino’s card-buying contract with Gemaco, but the Borg’s attorneys have asserted that this should not matter. Instead, goes the Borgata argument, the casino should prevail because by allegedly providing a faulty product, Gemaco violated the terms of New Jersey’s Casino Control Act, which is designed to oversee all gaming-related activity. That’s where the latest Gemaco filing strikes back, by agreeing with the Borgata that New Jersey’s gaming laws do have precedent in certain matters. And then it dashes the argument by noting that the Borg’s claim is self-defeating anyway, since both the New Jersey Office of the Attorney General and its gaming-related section, the Division of Gaming Enforcement, previously said no to filing charges. Both agencies looked into the Ivey edge-sorting matter, and neither chose to file even as much as a warning against Gemaco in connection to the cards the manufacturer provided to the casino. Here, the New Jersey Office of the Attorney General, including the Division of Gaming Enforcement, as well as the New Jersey State Police conducted independent investigations and there was no finding that Gemaco violated any laws or regulations with respect to Ivey and Sun’s 2012 gaming trips and the playing cards used during those gaming trips. GEmaco was never served with any complaint, warning letter or notice regarding any of Ivey and Sun’s 2012 gaming trips. In fact, Robert Moncrief Jr., Deputy Attorney General, wrote a letter to counsel for Ivey and Sun indicating that Division of Gaming Enforcement (“DGE”) did not have any investigative reports or similar documents relating to the case at hand. In addition, the New Jersey State Police conducted its own investigation into Ivey and Sun’s 2012 gaming trips. The result of the investigation was an administrative closure as of November 12, 2013. Although Detective Koch can sign a criminal complaint, he did not do so in this case. In his discretion, Detective Koch would go through his chain of command and his superior would notify DGE if there were any issues that they thought should be brought to DGE’s attention. Detective Koch did not report any issues to his superiors or to DGE. Furthermore, as part of his investigation, Detective Koch met with the New Jersey Attorney General’s Office to see if any criminal charges [presumably against Ivey and Sun] applied. The Attorney Genenal’s Office decided not to pursue any criminal charges. It was only after all the New Jersey agencies with possible legal oversight over the matter decided against acting that the Borgata took matters into its own hands and filed its lawsuit against Ivey and Sun in 2014, adding in Gemaco as a co-defendant for good measure. Subjectively, there’s a healthy dollop of disingenuity in the casino then claiming that the defendants its sued have violated various New Jersey laws; even if they have, there’s always the opposing matter of the Borgata staff’s own negligent culpability. As the case drags on and more information is revealed, it’s becoming less clear to at least this onlooker as to how the Borgata can possibly prevail in the case. The Borgata has a home-turf advantage in this legal battle, but even that is shaky based upon the New Jersey enforcement agencies already declining to have taken action. It’s more and more unlikely that Gemaco, or Ivey and Sun in that portion of that case, are unlikely to even consider a nominal out-of-court settlement.